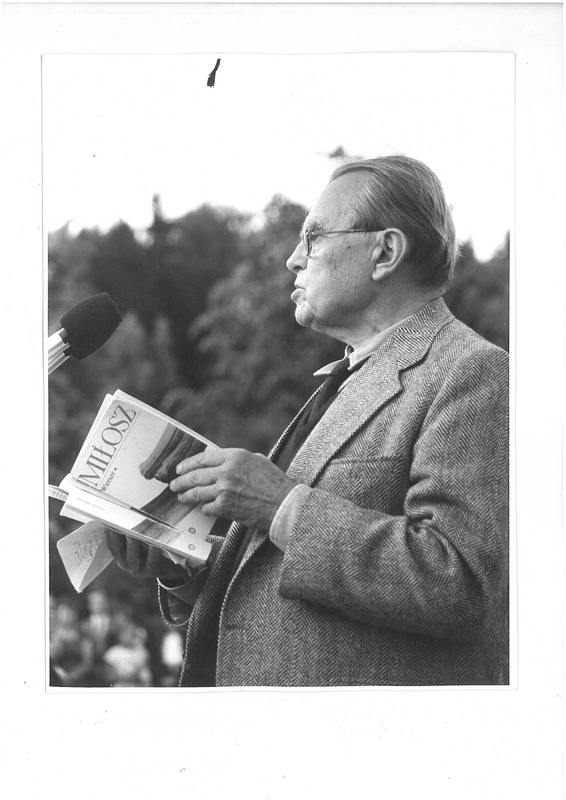 We are proud that the poet and writer, literary historian, philosopher, translator, great thinker, Literary Nobel Prize winner and the aristocrat of the tradition of the Grand Duchy of Lithuania Česlovas Milošas was born in Kėdainiai Region, in Šeteniai Manor near Nevėžis River, around 13 km to the north of Kėdainiai (30 June 1911). Šeteniai village in Kėdainiai district was the poet's "very beginning". He would always speak particularly about his homeland near Nevėžis. The works of Milošas has many mystical motifs of Nevėžis Valley, and this place was one of the greatest sources of inspiration to him. He called Nevėžis Valley the heart of Lithuania and its most beautiful place. 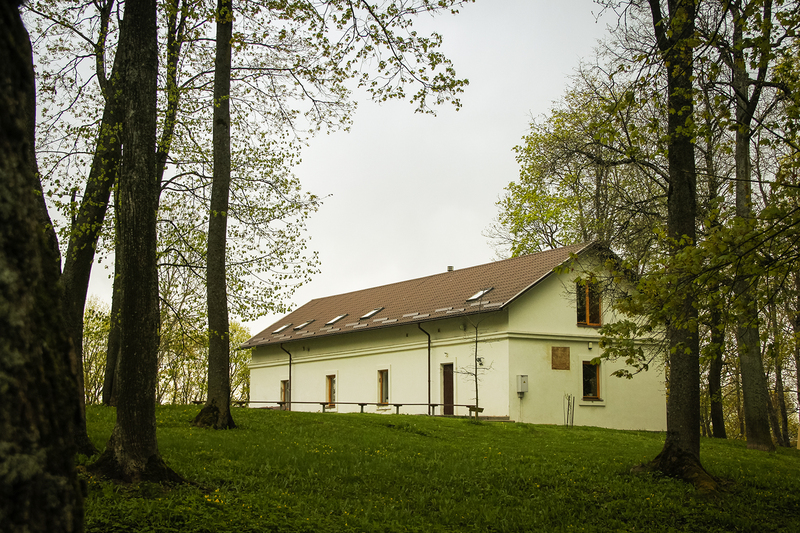 Milošas wrote about the greenness of the parks of slopes descending to the river, manors built around Nevėžis River and the entire world extending near Nevėžis. 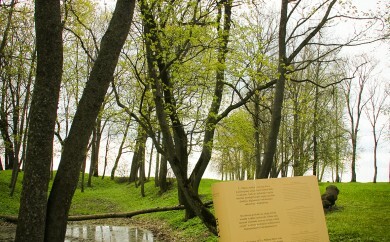 In his books, he also wrote about the many devils in the magical and mysterious land near Nevėžis River. Šeteniai Manor of Simonas Sirutis, the great-grandfather of Česlovas Milošas, was mentioned in 1839. The manor park was planted in around 1830. Šeteniai Manor House was a typical two-ended residential house of a small nobleman. In the memory of Milošas, his childhood home is like a living image of the old times which the poet describes as "the purest Dutch painting, the light and look of the rooms, still-lifes, – it is the Netherlands of the seventeenth century". Č. Milošas described Šeteniai Manor as if he was a painter. The manor and all of its items, the people that lived here, various stories and manor realities come to life in the novel "The Valley of Isa". Česlovas Milošas lived in Šeteniai Manor until 1913. 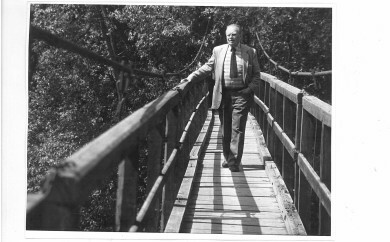 In 1913–1918, he lived in various places in Russia with his parents, where his father Aleksandras Milošas worked as a road engineer. 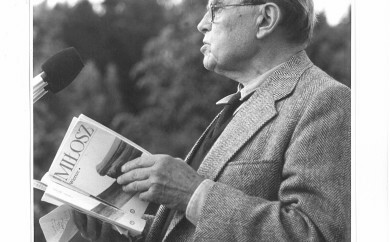 Until 1921, he lived in Šeteniai with his grandparents, and later, when studying in Vilnius, he would come to Šeteniai to spend his summer holidays. In 1940, Šeteniai Manor was expropriated, and later destroyed completely. The form of the name of Šeteniai has become consistent only during the recent years, therefore we can also encounter its other forms in historical sources and earlier literature: Šateiniai, Šateniai, Šeteiniai, etc. Milošas would always call Šeteniai - Szetejnie. Česlovas Milošas took the stories of villagers, legends and myths of the lands of Nevėžis, Lithuanian folklore, customs, Christmas Eve and Easter traditions to the wide world. His musical taste was influenced by the songs that people would sing on the other side of the river. Šeteniai, the birthplace of Česlovas Milošas/Residential Conference Centre. 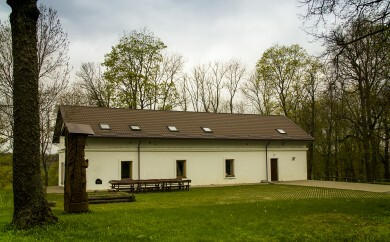 The reconstructed White Manor Granary was solemnly opened in 1999 (architect Algimantas Kančas). Č. Milošas would talk about the times of his childhood when he enjoyed looking through the attic window of his birthplace's manor granary at Kėdainiai Church Tower situated several kilometres away. The walls of the remaining granary were elevated by approximately 60 centimetres after reconstruction, thus making it possible to build an attic. The first floor of the building has a conference hall for 50 people, a hall with a spiral staircase to the attic, facilities for the kitchen and an office room. A separate single-room apartment was built on the southern side of the attic after reconstruction. It still contains the aforesaid window used by the future Nobel Prize winner to look at Kėdainiai Church Tower. This particular room was used by Č. Milošas in July of 1999, when he visited Šeteniai for the last time after a difficult journey. Approximatelly a third of the granary's walls remained authentic. On their eastern side, it is even possible to see several patches of the former plaster which was left intentionally intact. The foundation built from outdoor stones did not require a reconstruction as it remains strong and decorative. Authentic wooden beams supporting the ceiling still remain in the interior. The main supporter of the implementation of this idea – Kėdainiai company Lifosa provided around 500 thousand litas for the reconstruction of the granary. Clean-up of the environment was taken care of by Kėdainiai Town Municipality. The honorary guardian of the constructions was the former President Valdas Adamkus who knew Č. Milošas personally. Currently the Residential Conference Centre belongs to Vytautas Magnus University which is used for the events of the academic community. 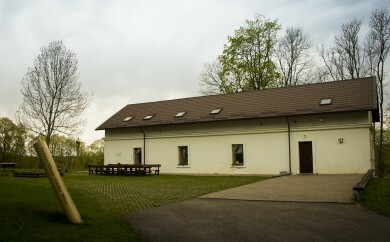 The Centre has an exposition helping to learn about the most important elements of the life and works of Česlovas Milošas, revealing the poet's relation with his homeland, telling the story of the native Nevėžis Valley, the author's first creative searches, his most mature works, as well as links with Lithuanian intellectuals abroad and in Lithuania. 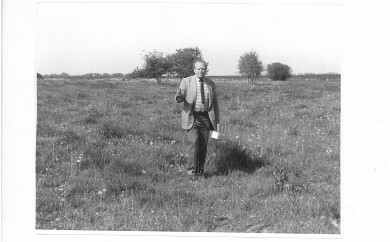 A lot of attention is also paid to the poet's visits in Lithuania after 1992 and the granary's reconstruction. 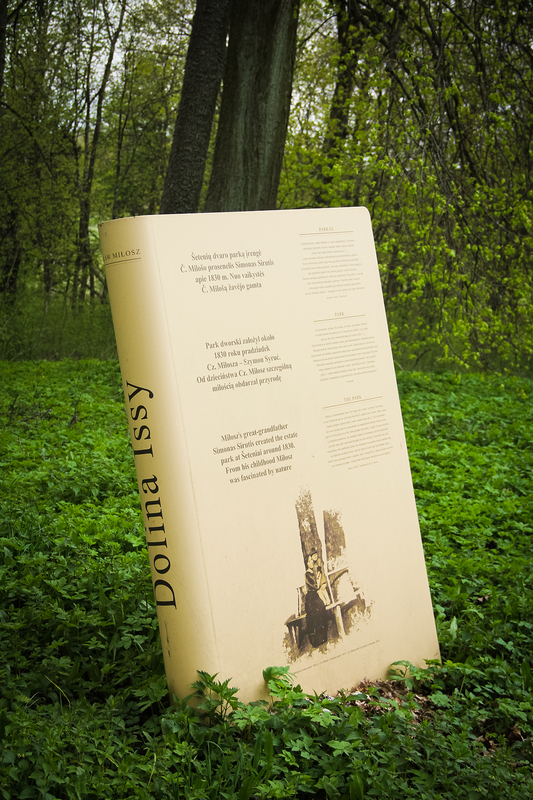 Outdoor exposition "The Valley of Isa" is comprised of seven stands presented in book form. Books of the poet seemingly growing from the ground testify than this particular place has raised a world-renowned artist. 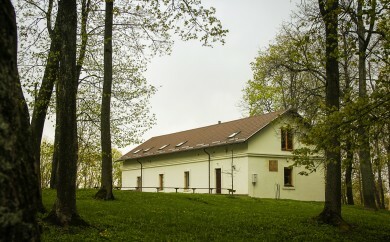 The stand "Park" speaks about Č. Milošas relation with nature, while the stand "Manor" indicates the place where the poet's childhood home stood before it was destroyed during the Soviet era. The stand "Pond" was built near the remaining pond, called the Black Eye by the poet, as the sun never reaches it and a fearsome black pig appears there during the night. 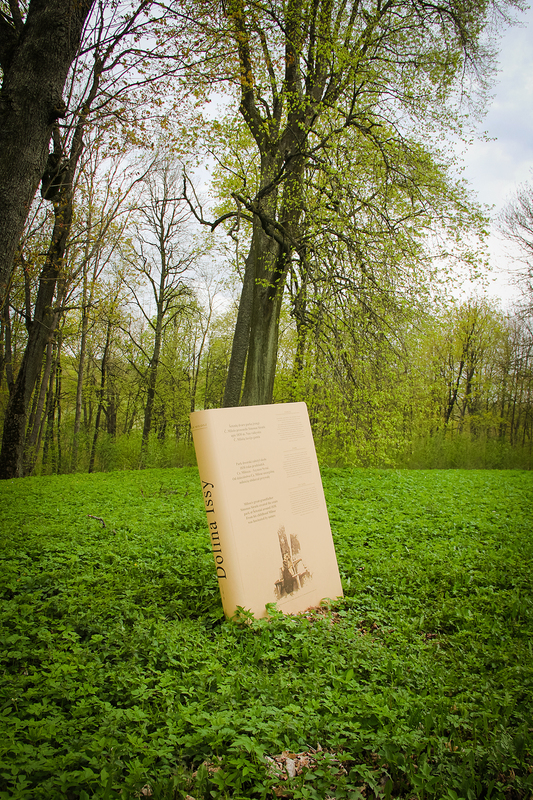 The stand "Oak Forest" tells a sad story of the villages of Šeteniai surroundings which were completely destroyed. "Magdalena" reminds about the tragic character of "The Valley of Isa" Magdalena, who killed herself due to unhappy love, as well as her prototype Barbora. 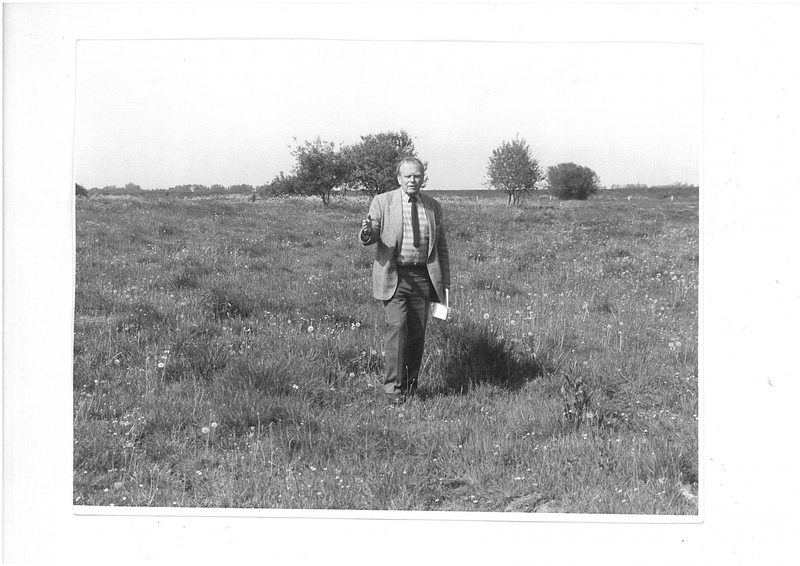 You can read a beautiful poem about a childhood meadow in the stand "Meadows". The environment is also decorated with the works created in the international wood sculptor symposium "The Valley of Isa 2001": "The Celtic cross of life (Hannes Hermann Bischof, Austria), the work of Czech author Jaroslav Bunck "Žemėpatis, the guardian of wildlife", "Mother of God – the guardian of Seins“ (Andrzej Wasilewski, Poland), "St. Jonas Nepomukas – the guardian of water", "The black pig from Č. Milošas "The Valley of Isa" (auth. Algimantas Sakalauskas), "Magdalena from Č. Milošas "The Valley of Isa" (Birutė Jakštienė), "Little devil from Č. Milošas "The Valley of Isa" (Adolfas Pranas Kartanas). Česlovas Milošas festival. Notifications are read, discussions are held and music concerts take place during the festival. The aim of the festival is to remind people of the great personality of Č. Milošas and discover his works anew. Apytalaukis. Šeteniai belonged to Apytalaukis parish. This place still has the 19th century neo-renaissance manor house which belonged to Counts Zabielas during the times of Milošas. It was one of the most impressive and beautiful manor houses in Nevėžis Valley. The 17th century Church of St. Apostles Peter and Paul still remains standing. At 7 p.m. of 14 July 1909 (according to the Julian calendar), Milošas parents Aleksandras Milošas and Veronika Kunataitė married here. Šventybrastis. The name is a combination of the words "šventas" (saint) and "brasta" (ford). According to Milošas, "The country of Saint Ford" is an exceptionally beautiful place and the beauty of these surroundings has enchanted him in a certain way. The story of the patron of the priest of Šventybrastis Barbora, who killed herself and would haunt the area, was also retold in Milošas novel "The Valley of Isa". In 1774, Ignacas Zaviša built a wooden Church of the Transfiguration of Christ here, in the former place of a pagan temple. Oaks from the times of paganism still remain to this day. Rebels of 1863 are buried near the churchyard in Šventybrastis. On 18 October 1911 (according to the Julian calendar), priest Julius Narkevičius baptized the future poet Česlovas Milošas in Šventybrastis. 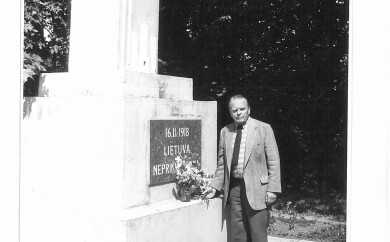 The poet's grandfather Zigmantas Kunatas, great-grandfather Simonas Sirutis and his first wife Eufrozina Kosakovskytė-Sirutienė who died young are buried in the churchyard of Šventybrastis Church. 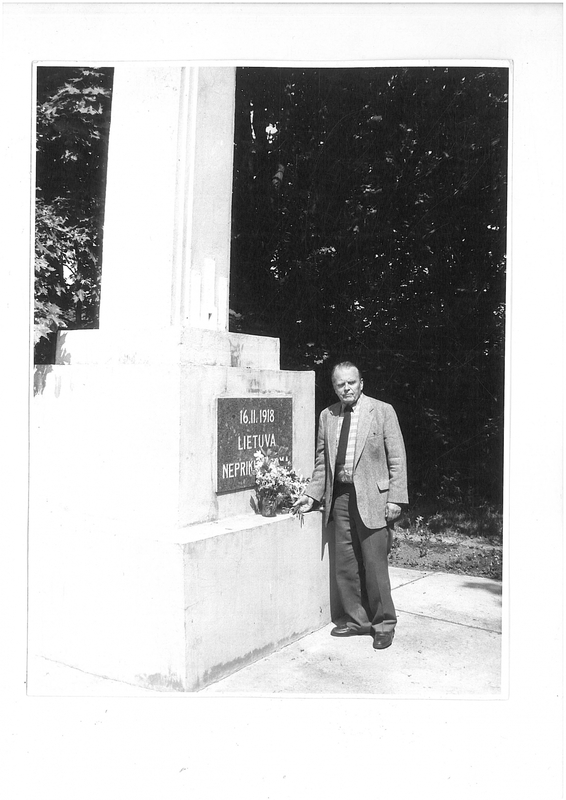 Milošas remembers how, during his childhood, he would walk for about 3 km from Šeteniai to Šventybrastis Church on Sundays. The old road by Nevėžis River was a trading tract during the times of the Grand Duchy of Lithuania, which led from Riga to Kaunas and further towards Konigsberg, and had many roadside inns. Kėdainiai. 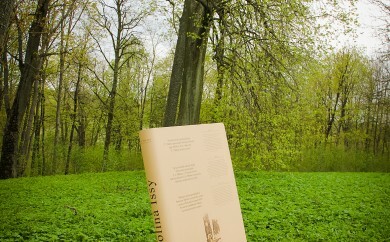 The main character of the novel "The Valley of Isa" Tomas says that he had visited Kėdainiai only several times, where he helped arrange the sold apples in the market square. And Isa (which is Nevėžis River portrayed in the novel "The Valley of Isa" is different, much wider in Kėdainiai... Today, Česlovas Milošas has a street named after him in Kėdainiai, which expands along the River of Nevėžis that raised the author and is often mentioned in his works. 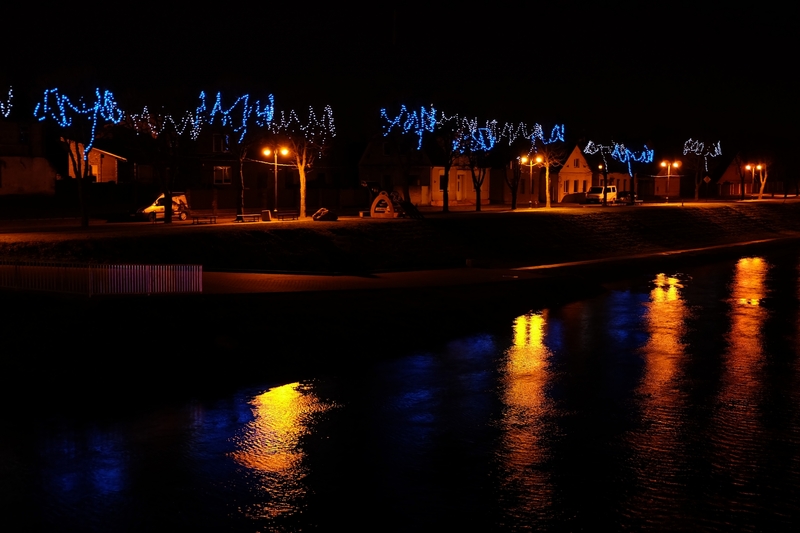 "Milošofonas" created by F. Paulauskas to commemorate Milošas stands on the bank of the aforesaid river. An exposition dedicated to Č. Milošas operates in Kėdainiai Regional Museum. 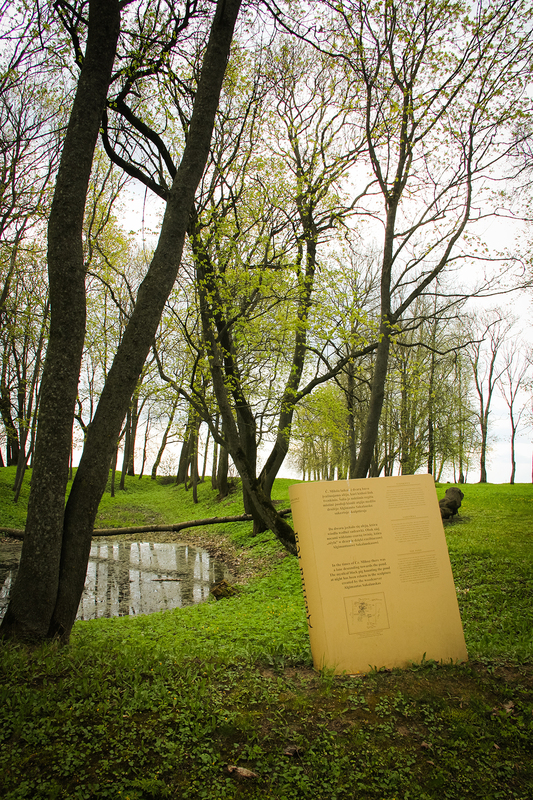 Educational programmes "Kėdainiai – the land of Mikalojus Daukša and Česlovas Milošas", as well as "The secrets of Nevėžis Valley" invite pupils to discover Č. Milošas and other authors originating from Kėdainiai region. 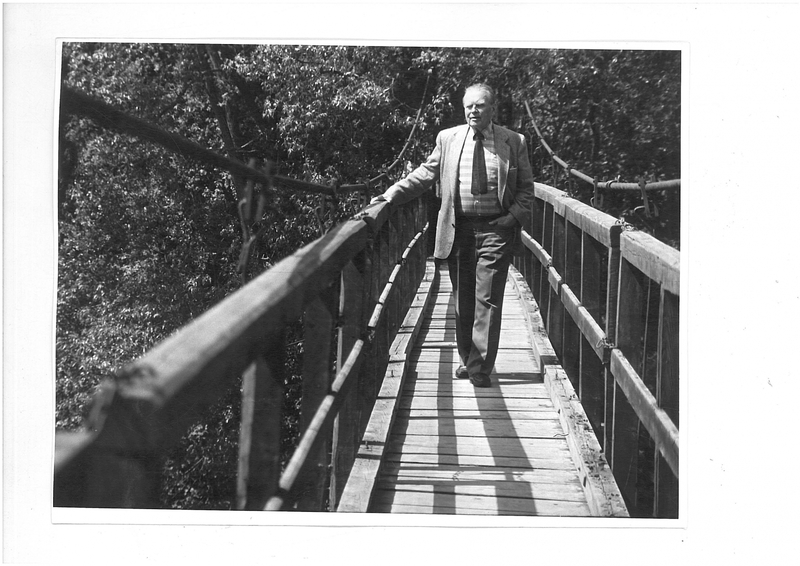 Kėdainiai Tourism and Business Information Centre proposes a route "The footsteps of Česlovas Milošas in Kėdainiai region": visit the places in Kėdainiai which were described in the works and memories of Česlovas Milošas!